I’ve loved ice cream for as long as I can remember. I celebrate with friends and family with ice cream. I connect with friends who I haven’t seen in a while over ice cream. And when I feel down, ice cream always cheers me back up. One of my favorite ice cream stores in Seattle is Molly Moon’s. 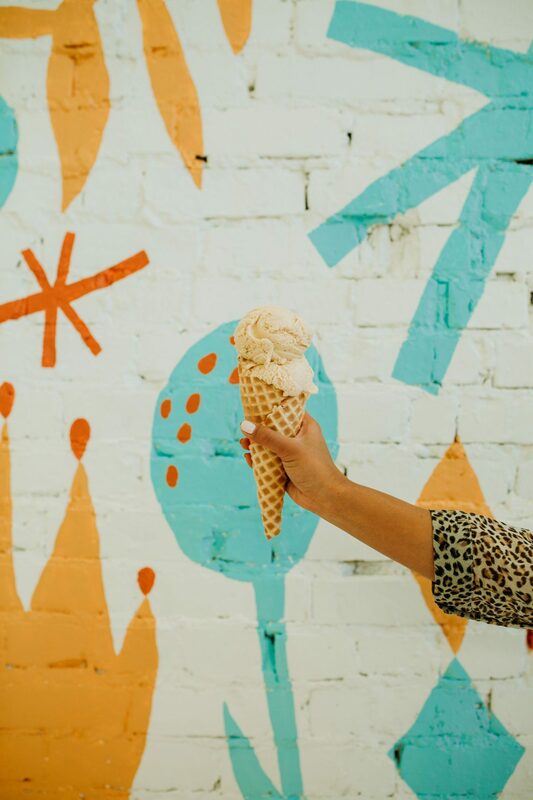 Regardless of the season, Molly Moon’s ice cream is always amazing! 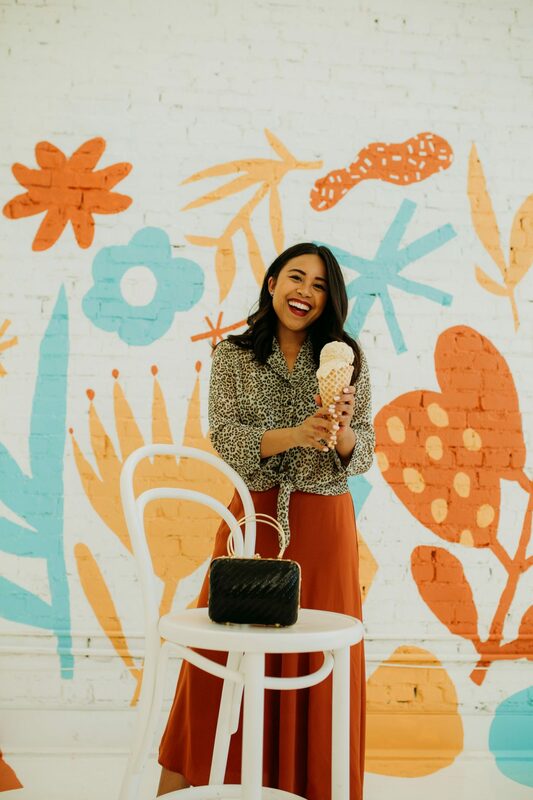 Molly Moon’s and I are teaming up to inspire you to try the new seasonal flavors at Molly Moon’s and to try new fall trends in your wardrobe. 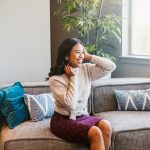 I’m sharing three outfits to match three fall flavors currently on the Molly Moon’s menu. 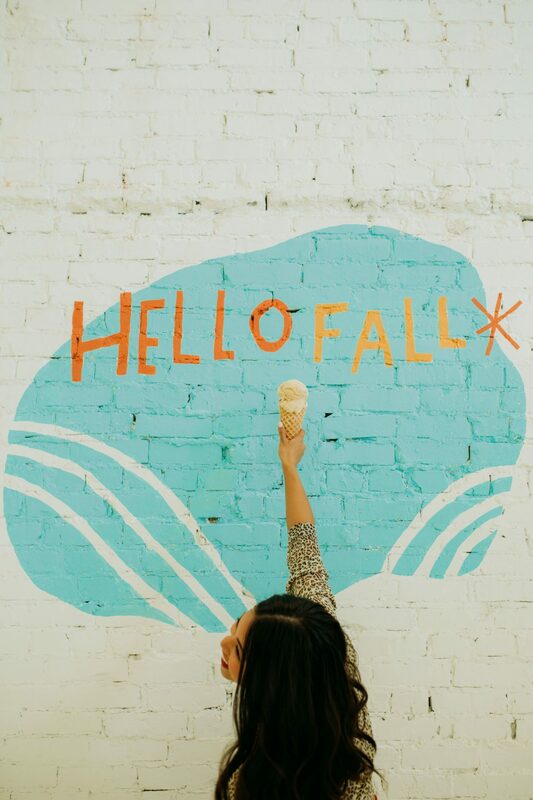 Before I jump into the fall seasonal flavors, who and what is Molly Moon’s? 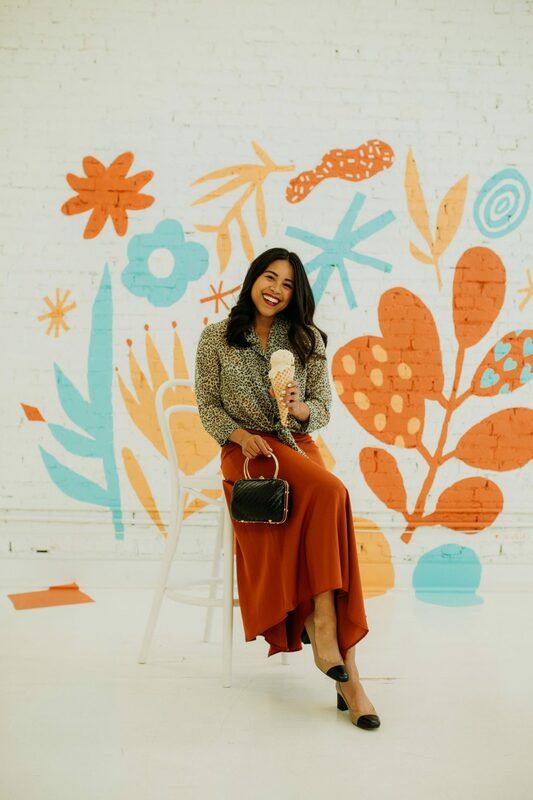 Molly Moon’s is a Seattle based ice cream shop centered on community, sustainability, and happiness. 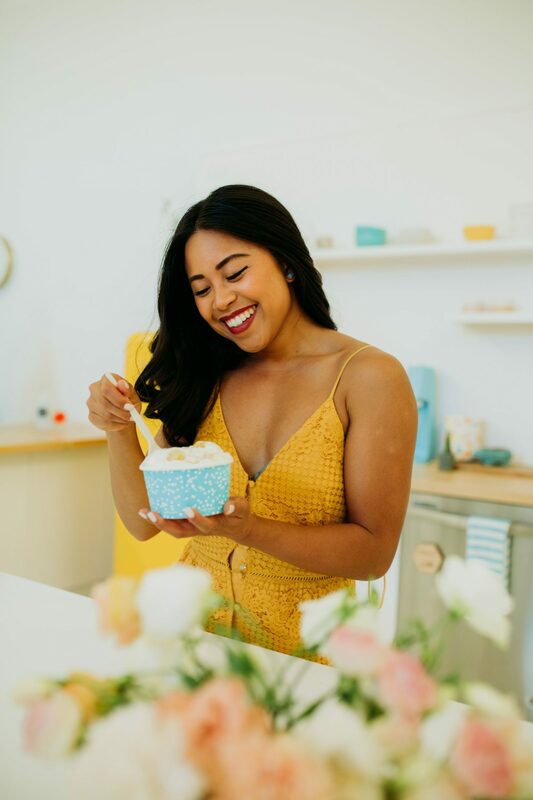 With the mission “to make the world better, with one scoop at a time”, Molly Moon’s explores multiple ways to help our communities. Molly Moon’s source 90% of their ingredients from the PNW and also gives 1% of sales to non-profits in the community. Molly Moon’s has eight store locations around Seattle. The staple ice cream flavors Molly Moon’s includes original strawberry, salted caramel, melted chocolate, as well as earl grey. 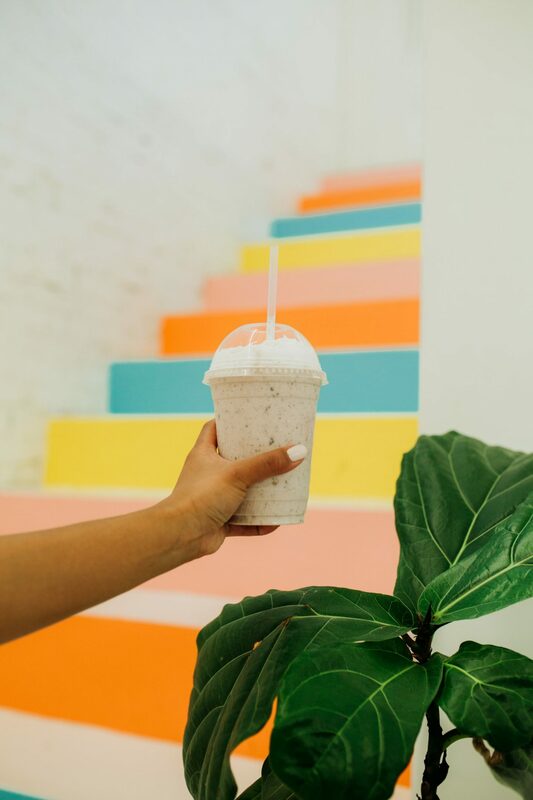 Molly Moon’s also offers handful of seasonal flavors as well as sundaes, milkshakes, and toppings. It’s pumpkin-everything season! And this fall Molly Moon’s is offering pumpkin clove on the menu. Made with organic pumpkins from Stahlbush Island Farms from Oregon and spiced with organic ground clove and cinnamon, pumpkin clove is all for the pumpkin flavored fans out there. Two trends to try this fall are statement skirts and leopard prints. 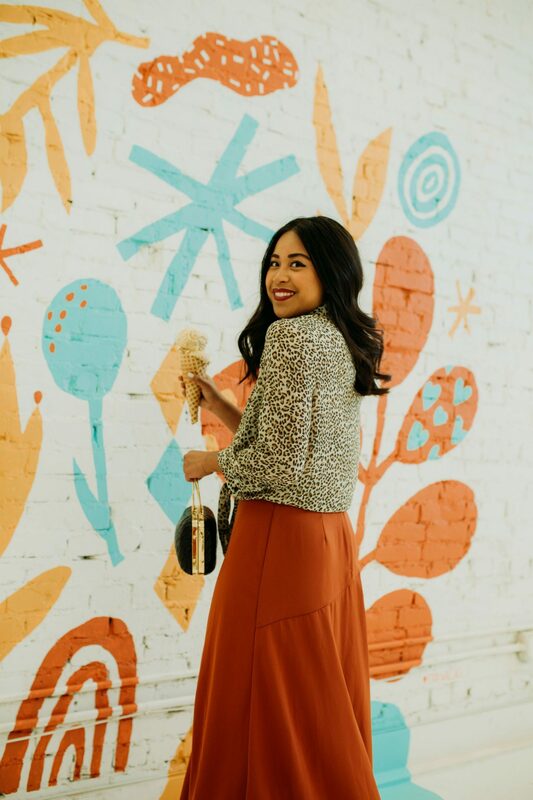 Whether you love a mini skirt or a maxi skirt, skirts are fun way to change up your fall wardrobe from the normal jeans or leggings you may be wearing this fall. I decided to combine the two in my pumpkin clove inspired outfit! Because the leopard blouse and the orange statement skirt are loud pieces, I finished off this look with a neutral pair of two tone block heels and simple, mini black purse. How does honey ice cream with freshly baked corn cake sound? It sounds and taste good to me! Sweet honey corncake is from two local farms – Sunny Honey and Alvarez Organic Farms. These two farms currently sell their products at Pike Place Market and also help create this delicious fall favorite for Molly Moon’s. 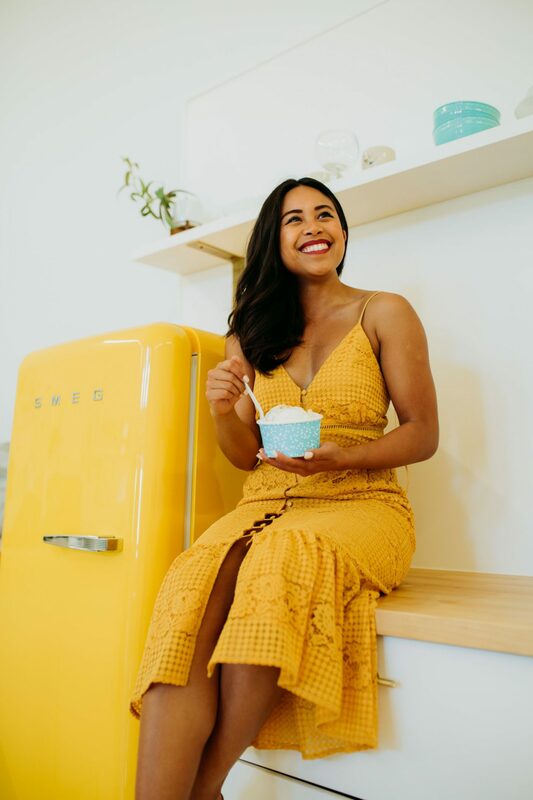 This ice cream flavor inspired me to bring one of my favorite colors into my fall wardrobe – YELLOW! Like ice cream, the color yellow always brightens my mood. 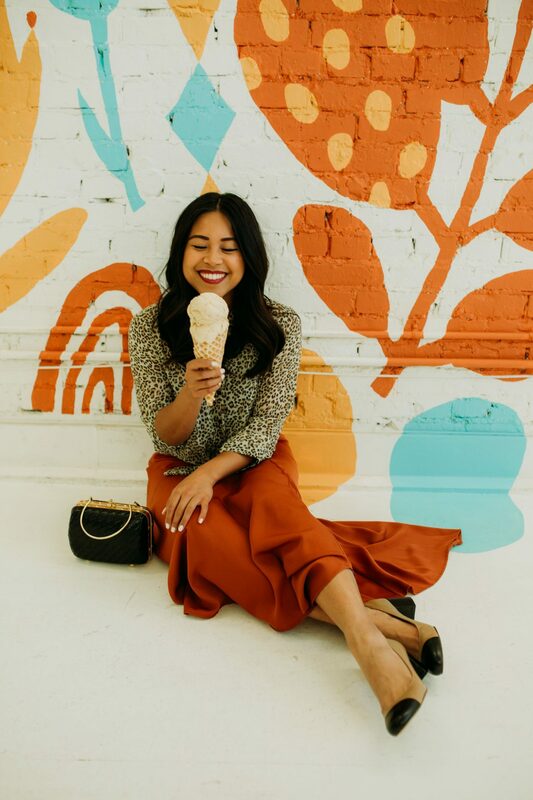 I was invited to three fall weddings this year so I decided to style a wedding guest outfit to match the sweet honey corncake ice cream flavor. 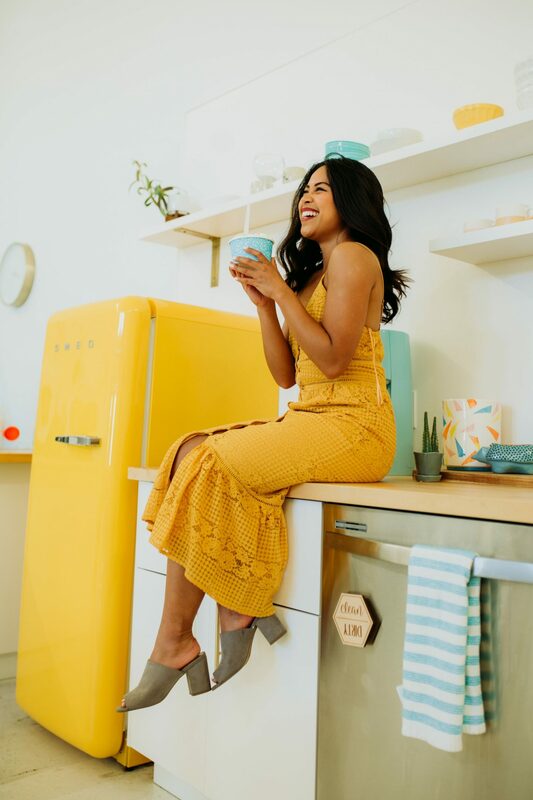 I styled this yellow feminine dress with a pair of comfortable grey mules that are easy to dance in! If you’re looking for a delicious vegan ice cream, the vegan plum crisp is vegan plum ice cream swirled with organic plum jam. The gluten free crisp crumble is a nice touch to the smooth flavor. I decided to try the vegan plum crisp as a milkshake and it was so good! I’ve always eaten the ice cream at Molly Moon’s but had never tried a milkshake so I was excited to try something new! One fall and winter trend I expect on the horizon is the varsity trend. 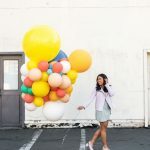 If you’re loving those vintage Tommy Hilfiger tees, striped block sweaters, or sporty jackets, the varsity trend may be for you. 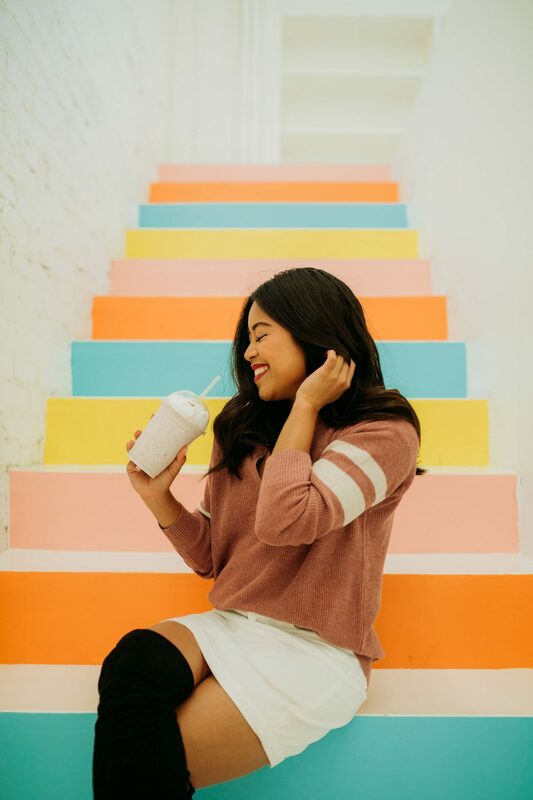 This varsity stripe Henley pull over sweater is perfect for class, the weekends, and of course an ice cream date. I styled it with my white denim skirt from summer and over the knee boots. One of Molly Moon’s favorite vegan flavors has made its way back on the menu this fall! If you love organic coconut and dark chocolate, this vegan flavor is for you! What fall seasonal flavors and fall trends are you going to try next? This is too adorable! I seriously want to go there and take pictures! I love this! The outfits are right on and those ice cream/milkshake flavors sound amazing! I would normally pick the pumpkin clove flavor but the plum crisp milkshake caught my attention. Leopard is definitely having a moment this year. 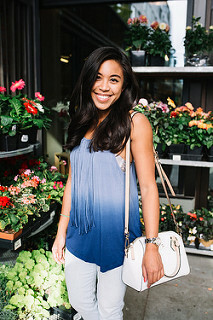 Love your blouse and how you styled it. My favorite look is the 2nd outfit. You look beautiful in yellow and that dress was made for you!